With so much already going on in this movie, I would have been surprised if it was anything more than a five minute appearance. If Klaw's role in the film is what I speculated above, which many have speculated prior, then he won't have a large role, but the impact of his role may be much more substantial. The two shots we've seen of Serkis in the film are in the same location, so I would be shocked if he is in the movie longer than that scene pictured above. I believe him when he says he doesn't know anything about it. There are some actors who bullsh*t these kinds of things because they aren't able to talk about the films, but Serkis is a trustworthy actor. If he can't talk about something then tells you, rather than playing coy. Just because Serkis doesn't know anything right now doesn't mean he couldn't end up being the villain of Black Panther. The movie doesn't come out until 2018. I think there's a very good chance Serkis will return in some capacity as Klaw, because why would Marvel cast Andy Serkis as Klaw if it was truly only for a five minute cameo. What do you think? 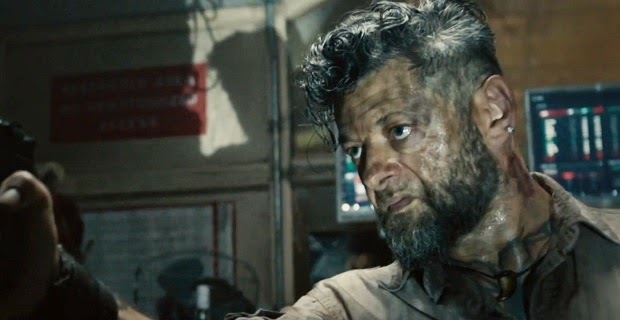 Are you excited that Andy Serkis is playing Ulysses Klaw? Are you looking forward to Avengers: Age of Ultron? Leave your thoughts in the comments section below.